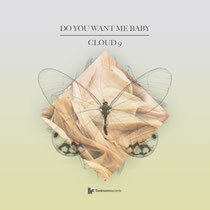 Toolroom Records’ latest release expands the range of styles the imprint continues to push as ‘Do You Want Me Baby’ is brought back to life with an eclectic set of remixes. Alongside Victor Simonelli’s original Cloud 9 piece, it’s sounding as good today as it did back then. London-based duo Dusky are first to deliver a remix. Known for a melting-pot sound fused by a key drive to compose deep and soulful electronic music, Dusky’s take on ‘Do You Want Me Baby’ slots perfectly into these eclectic ideals; a warm serving of bass-driven house with depth. With Dusky support continually escalating from DJs as diverse as Pete Tong, Jamie Jones, Toddla T, Boddika, Sasha & beyond, this remix is already proving pretty popular. Total Science return to Toolroom fresh from the Radio 1 playlisted ‘Piano Funk’. An intelligent sub heavy liquid remix that pays homage to old school D&B, the result mirrors the heritage that the original track holds in house circles, with support already from DJs including Bailey, DJ Marky, Friction and Mistajam. Last, but not least, the package finishes with a new master of Simonelli’s US classic. It’s out Monday October 8.